Ideal for Mardi Gras, Halloween and costume parties. Shiny feather masks available in three metallic colors are high shine half masks with 5" feathered plume anchored by a large rhinestone bead. Made of heavy duty plastic these domino masks have soft satin ties which can be adjusted for a comfortable fit. 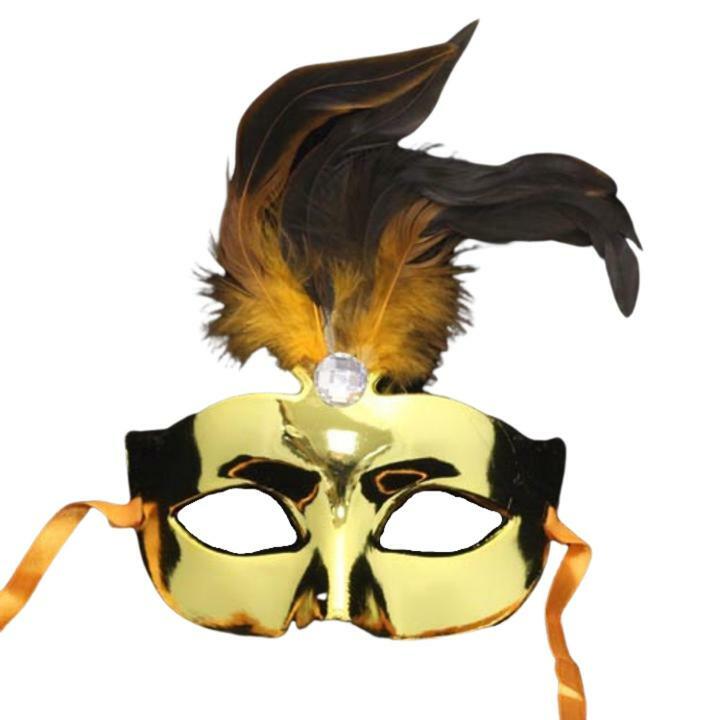 Checkout our extensive selection of party masks for different styles and designs like Butterfly glitter masks, half face masks, dual color Venetian masks and more. L: 9.0 in. W: 9.0 in. H: 2.0 in.